The goal of this article is to demonstrate how to populate a RadOutlookBar with business objects. Basically the control can be data bound to a collection of objects through its ItemsSource property and dynamically create RadOutlookBarItems. The ItemsSource property allows RadOutlookBar to be bound to any collection that implements the IEnumerable interface. By default the content of the generated RadOutlookBarItems will be set to the value returned by the ToString() method of the business object. 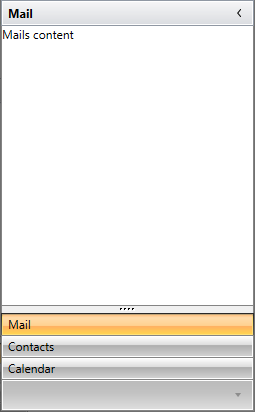 Define a RadOutlookBar in XAML. 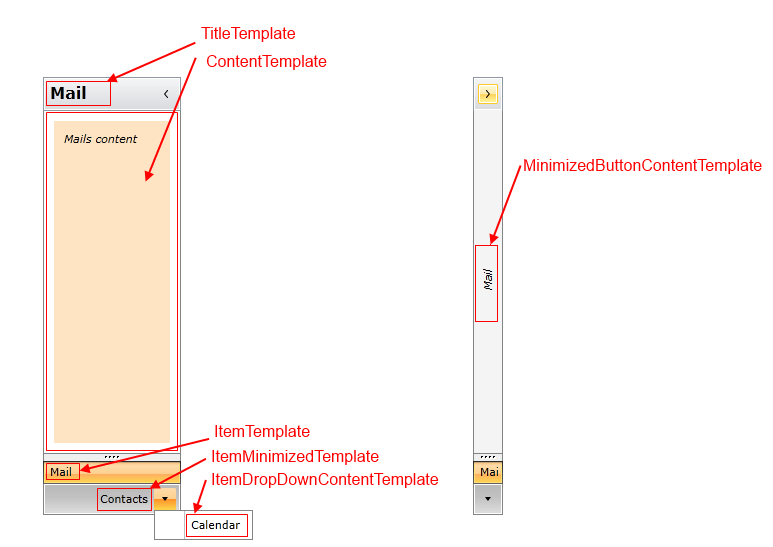 There are also template selectors for all of the listed templates except for the MinimizedButtonContentTemplate.